The JW Marriott Bao’an in Shenzhen’s Central Area business district is a prime example of 5-star luxury, not least the impressive Grand Ballroom, which required a lighting scheme that combined a beautiful ambience as well as functionality for the array of meetings and events that the hotel hosts. IlluminateLD delivered this combination in a scheme featuring 114 DR8 remote controlled spotlights from RCL. 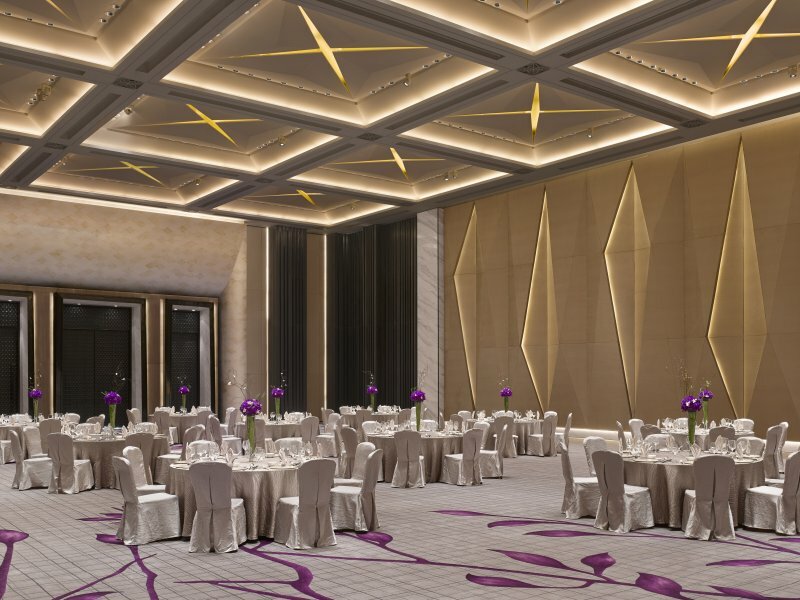 The massive Grand Ballroom covers 1,758m2, the largest ballroom in Shenzhen, and can be divided into three separate ballroom areas, each of which can host functions in a number of configurations, to provide for the corporate clientele of the hotel, not to mention the lavish weddings that the resort could host. Given the flexibility of the space, IlluminateLD were tasked with delivering a lighting solution that could adapt to the multiple scenarios and use-cases of the ballroom. Architectural considerations were also a key consideration; with a ceiling height of 8 metres, JW Marriott needed adaptive lighting without incurring the expenses and delay that repeat commissioning would entail when repositioning luminaires at such heights. Simon Berry of IlluminateLD acutely summarises the challenge: "Long term flexibility is paramount, particularly in ballroom spaces." RCL's DR8 architectural spotlights provided the solution to lighting the Grand Ballroom, allowing the resort team to refocus the luminaires from ground level with safety and ease. As the space adapts, the luminaire can be rotated through both the pan and tilt remotely, allowing them to alter the lighting scheme to new configurations of the space, for example from spotlighting bar areas in an open reception through to precisely lighting the centre of each table in a banquet with soft pools of light. "Having a fixture which can be remotely aimed speeds the entire process," says Berry of the RCL luminaires. "And the DR8 offers the level of tailored light often required in such spaces." 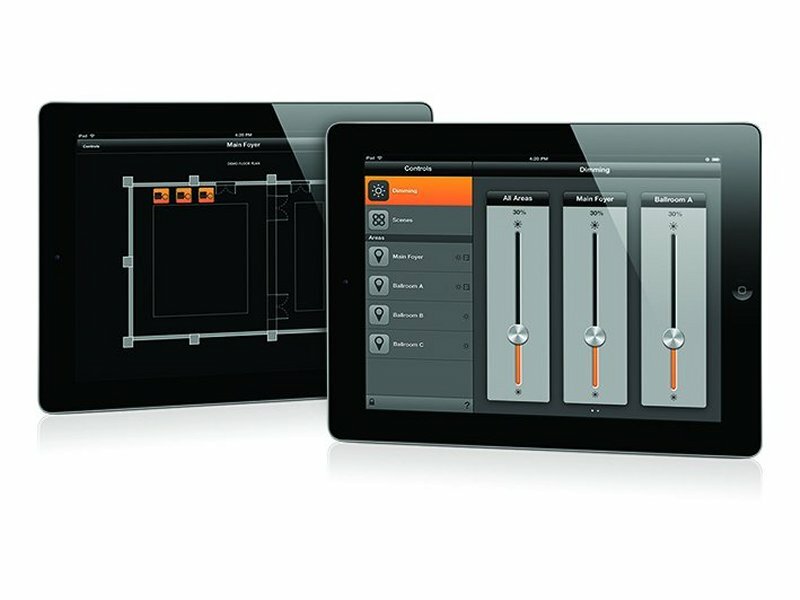 RCL's patented technology allows both individual selection of luminaires via iDirect, RCL's dedicated app for the iPad, and allows for scene recall for individual, or global scenes. Following selection, the luminaire(s) can be rotated ±165° through the pan, and the head can tilt up to a maximum of 90°, giving superior flexibility in beam aim. RCL's Jason Cheng, Sales Director for the Asia Region summarised the achievements of a fluid lighting scenario for such a space: "The hotels in the Asian region take pride in scale, being able to offer colossal venues in sumptuous surrounds. With ceiling heights routinely double-height or higher, manual adjustments to a static luminaire becomes a dangerous and costly exercise. With RCL's remote technology hotel's are empowered with flexible lighting without incurring such risks." "We've been privileged to supply our luminaires for a number of prestigious resort projects throughout the Asia-Pacific region, and IlluminateLD's design perfectly illustrates the benefits of remote controlled lighting technology available to hospitality operators managing these vast ballroom and conference spaces." 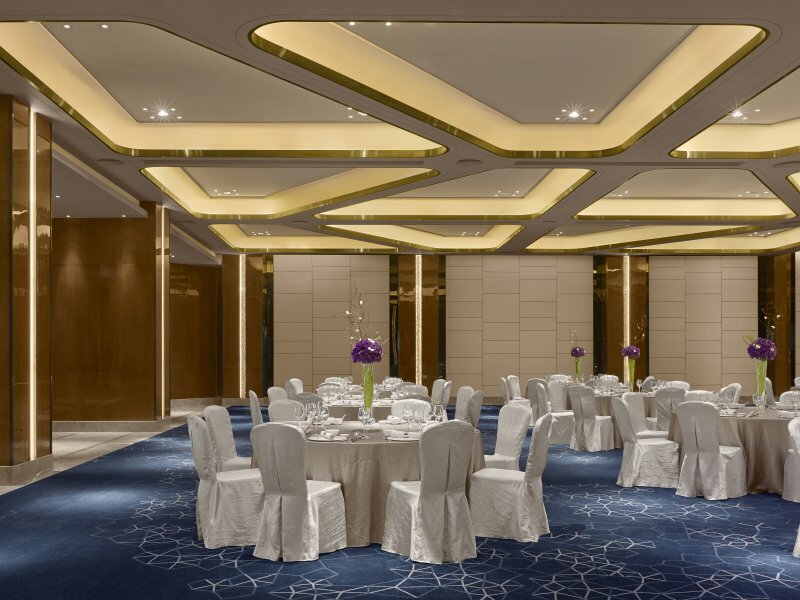 A further area of the hotel that benefited from RCL's remote control technology was for the smaller Junior Ballroom, which featured 24 recessed multi-directional luminaires from the DR7 family. With a lower room height of 4m, IlluminateLD wanted to avoid any potential obtrusive clutter from the ceiling, and opted for the DR7s, due to their discreet appearance yet exceptional functionality; even at the full 35° tilt the luminaires do not protrude from the ceiling plane. Like the DR8s, pan, tilt and dim level are all adjusted remotely, providing the same level of flexibility for the smaller ballroom, as for the Grand Ballroom.